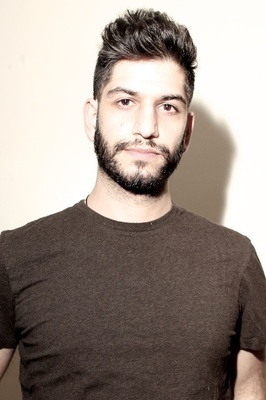 New York based singer/songwriter Arian Saleh will release Undone on June 11, and it's his debut full length, following the 2010 release of his Cobbestone EP. The artist recently shot a video for "Underhill," the first single from Undone, and it was directed by Skye Von and shot over 3 days in Brooklyn and Manhattan on a shoe string budget. According to Arian, "(They) really wanted to do something reflective of the story told in the song, but also indicative of how you remember a night like that, in fragments and suggestions, vibes and snapshots. You rarely look back on an encounter and remember it in wide shots and long sequences. It's a touch here, a taste there, a look, a feeling, a moment." The lyric "I found you" from the song inspired the story of the verses in reverse, ending with the moment where they find each other. Undone was recorded over a number of sessions in Connecticut, Virginia, Los Angeles and Brooklyn, with five of the songs produced by DJ/producer Chuck Wild. The remaining six tracks were co-produced by renowned cellist Dave Eggar and Chuck Palmer, both Grammy-nominated musicians. The album includes vocals from Arian's late grandmother, Monir Vakili, who was Iran's first lady of opera and his mother, who has released three albums of her own, provides backing vocals on one track. Mike Ragogna: Hello Emily, how are you? Emily Bear: Good. How are you? MR: I'm good. 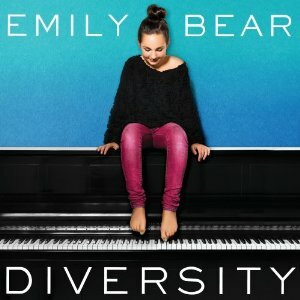 Now, you have a new album called Diversity. First of all, I want to know if you've sat down and listened to it from beginning to end yet? EB: Yes. I've looped it many times. MR: [laughs] Excellent. What did you think after listening to it? EB: I think it sounds really cool. I'm super thrilled about the sound of it. MR: You've been playing piano since you were three years old, right? EB: Yeah, just around then. I feel like I've always been around music, but I started lessons a couple months before I turned five. I started fiddling on the piano and composing when I was two or three. MR: How did you do that? EB: I don't know. It just came naturally to me and I just did it. MR: When you're working on these pieces, what is your process like? Do the songs come out of whatever mood you're in? EB: Well, it depends. It can come from a mood, like you were saying. Like, I have this song called "Out Of Control," and you can tell that I was kind of out of control when I wrote that. It could be anything. It could be the weather, my dog, a person I really like...anything! MR: Did you have any special teachers, or someone who taught you important stuff over the years? EB: I didn't have any teachers for composition, I only had a teacher for piano lessons. Now I'm starting to do film scoring and orchestration. MR: Wow. So you're also working with a certain person that people may have heard of, someone named Quincy Jones. How did you guys meet? EB: It was kind of through a person, through a person, through a person. I played at this event, and a man that was there talked to Quincy about me. Quincy emailed me the next morning and said that he would like to meet me. Then, I went to LA and met him, and I guess it just started from there. MR: Did you guys hang out and have fun a little bit? EB: Oh, yeah. We were writing music, and he was showing me when he first did the soundtrack for The Color Purple. MR: You have this song called "Q" on Diversity. Would that maybe be for that Quincy Jones guy? EB: Yes! I actually wrote it on the airplane, by hand, on my way to visit him in LA. He liked it, so he put in on the new CD. MR: Are you composing on staff paper? EB: I can do both, but I just like to play it out. It comes so naturally to me and I remember it within the first couple of times I play it. MR: Do you have any software on your computer that you use when you compose as well? EB: It's all by hand. MR: I couldn't be prouder! Do you even have anything on your computer just to help you remember the things you're working on or do you just have a really good memory? EB: Both. I have a program that helps me with orchestral stuff. I have to lay down the instruments myself, but then it sounds like a violin, or a flute. I record songs so I can remember them, like little parts that I think might sound better in this piece or that piece. But it's mostly by memory. MR: When you recorded Diversity, were you actually in the studio at the same time as the music was being recorded with some of these guest artists? EB: Yeah, all of them were there with me, and Quincy was there. Because of Quincy's schedule, we actually were recording from 4pm to 4am. MR: What? Were you up until 4am too? EB: [laughs] Well, I loved it, but they actually had to put me to sleep. MR: Okay, now we have to find out more about Emily Bear. What do you like? What is your favorite stuff? EB: Well, I have a dog--he's a little fluffy thing--and I love to bake and I actually love jewelry. MR: What kind of stuff do you like to bake? EB: I don't know--brownies, cake. I make pretty good banana bread. MR: Well, if the banana bread starts piling up and you need a home for it, you just call me. MR: What other things are you into? What are your favorite movies? EB: I think one of my favorite movies was My Fair Lady--I don't know why--and Roman Holiday was a good one too. That's kind of a hard question. MR: Do you watch any television shows? Are you into Disney? EB: Disney's good. I'm kind of into Pawn Stars. I like that show, and I love HGTV. MR: What are you watching on HGTV? EB: I like House Hunters International, and I like Flea Market Flip. MR: Now, I bet you're aware of some other people out there making music. Do you have any favorites? MR: Are you playing any video games lately? EB: Sometimes I do Just Dance with my sisters upstairs, but besides that, we don't really do much video games. MR: Are you a dancer too? EB: I used to dance last year, but now I'm going into sewing. I mean I dance, but at parties. MR: Emily, what about your swimming? I hear that you did really well with beating an old record. How many seconds did you beat your record by? MR: What is your record now? EB: Well, it was for twenty-five meters. MR: Are you into any other activities like gymnastics? EB: I like gymnastics, but every time I do it, I seem to hurt some part of my body. I like doing cartwheels and handstands and stuff. MR: That counts! Now, this might seem like an odd question to ask you, but I ask it to everyone that I interview, and because you're such a wonderful talent I have to ask you too. What advice would you have for new artists? EB: I would say, to love what you do, and to always keep going. Do what you like to do. Work hard and have fun. Having fun is the most important thing. MR: Emily, beautiful. And when you're at the piano, I bet you're having a lot of fun all the time. EB: Yes! Like, when I practice, it's never boring. Let's say I'm playing jazz, but I don't want to play jazz anymore, I go to classical. MR: And you get some time in to goof around with your friends too, right? EB: Oh, yeah. Actually this weekend I'm having a couple of sleepovers. MR: With parental supervision, of course. EB: Yeah. I'm also doing a 5K, but it's not like a normal 5K, it's called Color Run. You go with your friends and you make a team, and you spray other people with paint for charity. MR: [laughs] That sounds like a lot of fun. Do you have any big plans, like is there something that you want to do when you get a little older, or maybe even just later this year? EB: Well, I'm getting into film scoring. Also, I just debuted a symphony orchestra piece for the Santa Fe Symphony. MR: My God, Emily, please stop that being naturally talented thing already! And hey, are you still pals with your buddy Ellen DeGeneres? EB: Yeah, she's so funny! MR: Well Emily, I think you have a bright future, and you have a beautiful new album, I really wish you the best. Someday we'll have to talk again. EB: Yeah, I hope I can come back again soon.